Download dos drivers para Placa Mãe Asus B85M-E BR estão disponíveis em links diretos para o arquivo (caso não seja baixado, você pode escolher um outro servidor ou nos informar em - Pedidos). 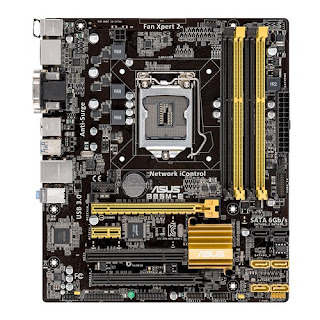 MB ASUS p/ Intel B85M-E/BR LGA 1150, a mais nova placa mãe para a 4ª Geração de processadores intel socket 1150. Intel Graphics Accelerator Driver V10.18.10.3412 for Windows Win7 32bit & Win8 32bit & Win8.1 32bit---(WHQL). Intel Graphics Accelerator Driver V10.18.10.3412 for Windows Win7 64bit & Win8 64bit & Win8.1 64bit---(WHQL). Realtek LAN Driver V7.87.529.2014 for Windows Win7 32bit & Win7 64bit---(WHQL). Realtek LAN Driver V8.33.529.2014 for Windows Win8 32bit & Win8 64bit & Win8.1 32bit & Win8.1 64bit---(WHQL). Realtek LAN Driver V7.75.827.2013 for Windows Win7 32bit & Win7 64bit---(WHQL). Realtek LAN Driver V8.10.1226.2012 for Windows Win8 32bit & Win8 64bit---(WHQL). Management Engine Interface V9.5.15.1730 for Windows Win7 32bit & Win7 64bit & Win8 32bit & Win8 64bit & Win8.1 32bit & Win8.1 64bit---(WHQL).